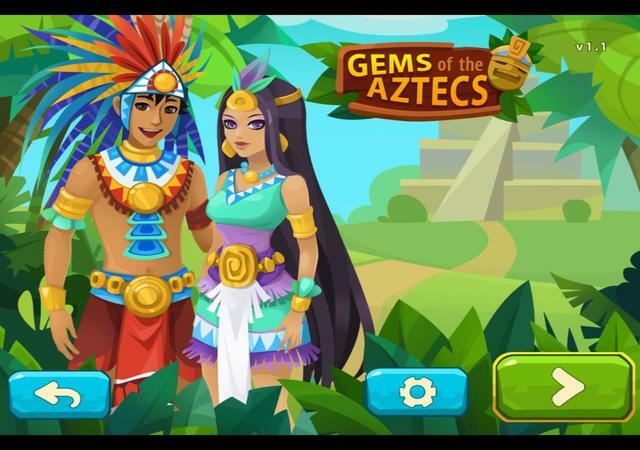 Find the treasure of an ancient people in Gems of the Aztecs.A wicked father refuses to allow his daughter to marry a poor man and sends him to complete a difficult challenge. The fate of the young hero and his beloved is in your hands! Help him find the treasure in the ruins of an abandoned city.Cleverly designed puzzles, dangerous traps and the treasure of ancient and mighty rulers await you. Fulfill the hero Gerasim’s dream by completing a long journey through the abandoned country of the Aztecs. Diamonds, rubies, sapphires and gold are nothing in comparison to the heart of beautiful Isolde. Prove that you’re worthy of the honor of a great warrior, untold riches and eternal love.